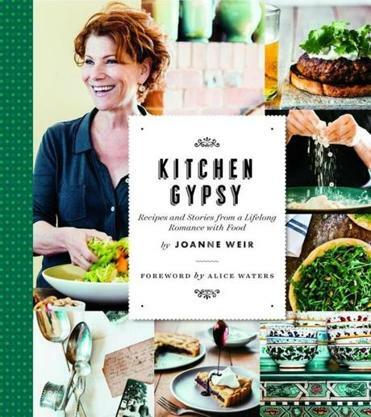 Joanne Weir keeps a saying posted above her desk: “Passion keeps me realizing my possibilities.” In her new book “Kitchen Gypsy: Recipes and Stories From a Lifelong Romance With Food,” the San Francisco-based author recounts how that motto led her from her childhood home in Northampton to many extraordinary experiences. “I love to travel and I’m very lucky that I made a profession where I can,” says Weir, 64, who runs cooking and travel seminars all over the world, owns the restaurant Copita Tequileria y Comida in Sausalito, and has hosted a number of PBS cooking shows. Q. Why did you want to include memoir as part of the book? A. I’ve written 17 cookbooks. I love stories and have always been a storyteller. I think they really bring food alive. I tell a lot of stories in my classes, like the time I put a cup and a half of baking soda instead of a teaspoon and a half in oatmeal cookies when I was a kid. Q. What kind of food did you eat growing up? A. I really live and breathe seasonal cooking, and I learned that from my mother. Both of my grandparents had farms and I had always eaten with the seasons. When it was summer, my mother was getting a bushel of peaches and we were picking apples. My grandfather had heirloom tomatoes. I didn’t know what they were, just that they looked weird. His principles were the things we’re talking about today – sustainability, seasonal eating. Those were things that we just thought everybody understood. Q. Did you always want to be a chef? A. My parents didn’t go to college. So my father was just absolutely adamant that his children were going and I really wanted to. When I was in college at UMass Amherst, I was known as the chef among my friends. But I didn’t have a clue about what it was to be a cook. Right after college I moved to Cambridge. The first job I had was for 21 days at the Harvard Coop in the housewares department selling kitchen things. After that, I was making $159 a week as an art teacher. Q. What was it like living in Cambridge in the ’70s? A. I didn’t have any money, so we would find places to go and eat for $5 or less. I loved the Middle East. I salivate to this day thinking about the tacos. And the falafel sandwiches were so delicious. There was a restaurant called Joyce Chen or we would go to the Shanghai and get sizzling rice soup. I was seeking out any kind of ethnic food I could find. I would go all the way to the South End to a bakery that made fresh pita. It would come off the conveyor belt and they would look like these little puffed up footballs. It was really exciting to me to taste those foods. It wasn’t something I had at home in Northampton. Q. What were you cooking? A. That was the time when I said I want to take a cooking class. My first was Mexican at the Cambridge Center for Adult Education. When I wanted to make something like arroz con pollo, I had to go to Harvard Square to Cardullo’s to buy saffron and then to the store in Watertown that sold Spanish food to get rice. You could only get cilantro on Saturdays. I’d never had cilantro until that cooking class. 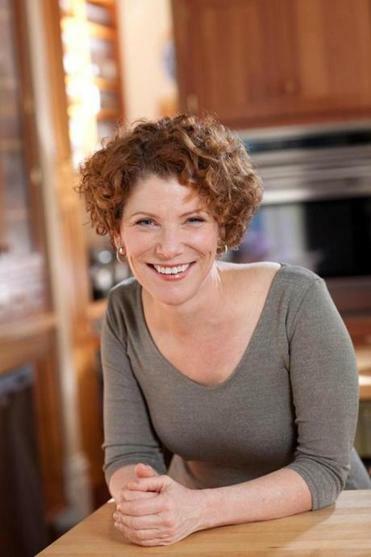 I also signed up for classes with Madeleine Kamman, who had a school in Newton Centre called Modern Gourmet. She was doing food that was so phenomenal. Q. You stayed with Kamman for a year. She was notoriously demanding. A. It was the toughest year of my life. Every day I put an X on my calendar as it went by. By then she had moved the school to the mountains in New Hampshire. There were eight people and we were all living in the same house. About halfway through the program, half the people had had enough of Madeleine and quit. She was a taskmaster and not an easy woman. But she liked my work and knew I was passionate about what I was doing. It was great and it was horrible. I learned a lot. Q. How did you get to work with Alice Waters at Chez Panisse? A. I made an appointment to go and talk with Alice and was a few minutes late because I couldn’t decide what to wear. I could’ve worn anything. And I didn’t need the resume. As soon as I started talking about my grandparents and the farm, she lit up. We were both talking the same language. Chez Panisse was so much more than cooking. It was like the Harvard of restaurants. Interview has been edited and condensed. Michael Floreak can be reached at Michael.Floreak@gmail.com.